Joe was exposed to asbestos while performing mechanic work on cars, light trucks and heaving machinery primarily between 1978-1994. 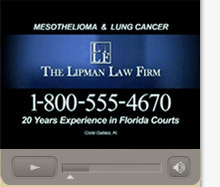 Joe was diagnosed with mesothelioma in 2004. © 2013 Lipman Law Firm. All Rights Reserved.